The only woman on earth? “You΄re running around with other women,” she told her mate. “Eve, honey, you΄re being unreasonable,” Adam responded. “You know you΄re the only woman on earth.” The quarrel continued until Adam fell asleep, only to be awakened by a strange pain in his side. It was Eve poking him about the torso. “What do you think you΄re doing?” Adam demanded. 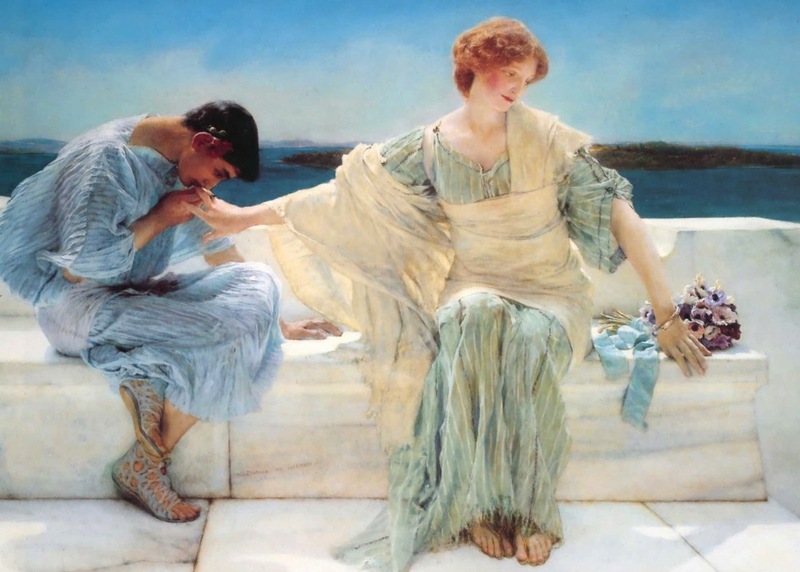 In Greece, perfume was already central to worshipping and pleasing of the gods and goddesses. The Greeks believed that anything as wondrous must actually have come from the gods: vast quantities were used in religious ceremonies, and those too poor to afford fragrance for funerals simply painted a perfume bottle on the coffin. Odysseus also encounters the famous sirens during his wanderings. Typically, in Greek depictions, the sirens they are half-woman half-bird creatures that perch on the rocks by the sea and sing beautiful songs that lure men who, refusing to leave, die of starvation. At the very top of the park, the huge monument of Hercules is perched on top of the stone Oktogon building, completed 300 years ago in 1717. There’s a platform for taking in the amazing views along the axis of the park down towards Kassel.